The absolute most common issue those in my profession see? Clients who only want to hear… what they want to hear. Sometimes it can be very perplexing as to why they are even bothering coming to me for answers and guidance when they already have the answers that they want scripted and ingrained within their heads. It doesn’t matter what I say, they will either reject it and replace it with what they want, or twist it into what they want the result to be. Sometimes I can spend a great deal of time going over everything, carefully detailing the reasons why it will not result in what they are hoping for…. and right when I think I have gotten through to them, they will ask, “So, its going to work-out, right?” Cue Delaney planting her head into her keyboard. Often they ignore blaring signs that the situation is not going to result in what they desire… down to being directly told by the person of desire that they no-longer want to interact, that they won’t leave their spouse ( sigh…don’t get me started), and various other elements and obstacles that just do not line things-up in the way that is needed for healthy, lasting, positive results. Its akin to skipping down a street with signs everywhere warning of danger, “Turn around! Dead End! Bottomless Sink hole ahead! He will break your heart and run-off with your best friend Fred!” Nevertheless, I do my best to be compassionate and patient, and try to find ways to help the person to understand, and possibly even steer their focus in better directions…because I understand full-well what it is like to be in love, and to hope for the impossible. Everyone just wants to be loved (especially by those that they themselves love), and it can be shattering not to obtain it. However, I have found myself in situations with clients where I finally had to drop my hands, and tell them outright that the answers will not change—especially when a great deal of time has passed, and over and over they have rejected the answer in front of them, and continue to act baffled that it does not ultimately result in what they want. I give it a final effort to explain to them that unless they are willing to listen to what I have been saying, and open themselves to considering other possibilities/ the truth of the situation….there is nothing more that I can do for them….nothing more that I can say. They are free to believe what they want to, and continue to follow that path and act on it, but I no-longer will be able to assist them since they do not truly listen to, or accept my guidance—they will be on their own, and have to deal with the results. It is always hard for me to have to step-back, and it makes me feel horrible, and worried for the person and what heartbreak I know waits for them…..but sometimes I have no choice but to let them discover it for their own selves since they were not willing to accept anything other than what they wanted to believe/hear. Then, often… eventually they do re-appear, finally having discovered the truth for themselves in some devastating way that could have been avoided had they been willing to open themselves previously…..and then we start the tedious work of rebuilding and moving forward. That is, assuming that they do not turn right back down that road to see if someone has filled-in the sink hole. The reason I am mentioning this is because an odd thought/correlation occurred to me this morning. Often when we pray we ask for answers and guidance—to know if the path we are on is correct. However, how often do we truly listen? How often do we want to believe the answer is what we desperately want it to be, and thus let our own voice, desires, desperation etc… drown-out the true answer? Do we ignore the obvious indications that it is not the right choice, and convince ourselves that it is the right one via telling ourselves that we got the answer that it is so? Hold it up as validation? What of when it involves out-right making justifications to ourselves to over-look the blatant obstacles, and maybe even things we know are wrong….but want to ignore, twist-around, brush aside etc… just to set our eyes on what is hoped for? Essentially, it means that you ask, but do not receive/hear the answer because you ask with the wrong intentions—because you want the result to be for your own gain, pleasure, joy, rewards etc.. ( fill in the blank). Thus, it basically is praying for an answer, when really you are not open to hearing anything other than the answer that you want to receive….the answer that fits your motives and desires. I imagine it can work a bit in reverse too ( meaning when you let fears drown-out the answer because it is something that you are afraid to accept, face, or do). I know that hearing what I want to hear is a mistake that I have made many times, and will make again….its so hard not to muddle things sometimes. Even as a dreamer, though the dreams themselves are almost always true, I tend to have the human failing of interpreting things incorrectly to favor what I want the meaning to be…. and then later find myself dumbfounded when I put the pieces together and discover what the true meaning was that I either previously missed, or twisted. If I can do that even when things are basically spelled-out, then how much harder is it to separate our own inner “wanting” voice from that of the spirit? The more we want something, the louder and more driven our inner voice is…. and thus, the harder it can be to truly hear the answer over our own pounding commotion. I cannot help but think about how I feel when I watch these kind of situations unfold with those I try to help. I care for, and invest myself into my clients, and want the best for them… and to see them happy and fulfilled. I often become greatly distressed and worried when I cannot get through to them, and can see that they are heading down a path that is anything but a daisy-lined yellow-brick road….but ultimately it is their choice. Sometimes there is nothing left save dropping my hands, and having to tell myself that I have done, and said all that I could… that the only option left is to step-back and let them discover it on their own, even if it means harm will happen, and a rock-bottom being hit Even so, it is agonizing to have to do. I am sure parents can also relate when it comes to sometimes just having to let children discover things for themselves. So, if it pains little mortal me to have to watch people blind and deafen themselves to answers, and suffer painful results….. how much must it pain Heavenly Father ( whose love for us is absolute and beyond our comprehension of love) to see us be closed to the true answers, and go in the directions that lead to painful lessons and loss? So how do we solve it? How do we truly open ourselves to receive answers, and not just get pulled-along by the demanding voice of our desires? How can we tell when an answer is real, or when it is just what we want the answer to be? There likely is not a perfect answer to that, but I can share insights from what I have both seen with others, and from personal experiences. Firstly, I almost always know very quickly when a client is one who will only accept the answers that they want to hear. They often phrase their questions in ways to prompt the answers that they want, without even leaving room for the response to be something else ( such as “when will it ..” instead of “will it”). Typically, they do not want to address the complications and reasons that it will not work….they brush it aside, treat those things as not existing, tell themselves that those factors do not matter because love will rule-out, their desires are pure, noble…whatever… they just truly lock themselves down. In worst cases they can even be argumentative, and lash-out on me even when they know what I have said is true. I also even get glimpses from people that reveal that deep down they do know, but they just do not want to accept it, or even let themselves consider it for long before sliding back into the comfort of seeking the image they are holding within their mind. On the flip-side? Its almost like I feel this huge inner sigh of relief when I encounter someone who truly is open…. someone who, even though they may have hope for a particular outcome, is still open, and willing to look at all the elements involved, consider other possibilities, and are able to listen with open minds and hearts—even if it is not always pleasant. It makes my job so much easier because I can truly be honest, and address the issues without having to tip-toe around extreme sensitivity or denial, and do not have to figure-out methods to spoon-feed things to people in ways that might help them to grasp things without tempestuous reactions. It also gives me hope that the person can avoid greater pain and loss when they are willing to accept the truth behind things. So, how does the above correlate to being receptive to true answers when we pray? We have to approach it with both a calm, open mind, and heart….and not from a place of desperation, excitement, or floating stars and rainbows etc…that can taint and interfere with the true answers. We have to be willing to truly look at, and consider other possibilities, and even the negative factors and obstacles that are in the way. If we find that we struggle with being open-minded and honest with ourselves even when not praying/ seeking for answers….that is not a very good sign that we will be open, and willing to hear anything but what we want to hear (especially if the real answer touches on the things we are not wanting to look at/accept). So perhaps taking the time to calmly, truly face things, and look at all angles etc…prior to asking/praying, can at least put us in a more balanced, and open mind-set that could help us to be more receptive to the truth that is sent to us. Additionally, we have to be mindful of any justifications or excuses that we make in situations (especially if they go against what we know to be right/true)…because usually that is indication of something we do not want to admit to, or want to twist in some way to convince our selves that it it is good/ leading to the right place….and thus, is most likely to be something generated by our own selves and desires. Lastly, be wary of any “answers” that lead you astray of your beliefs, integrity, morals etc… and most importantly, leads you in a direction away from God. It may feel great, wonderful, happy-floaty….but if that path is leading in the opposite direction of where you should be….well, then it should be reason enough to at least pause to ask yourself if it is possible that you are just hearing the answers that you want to hear. 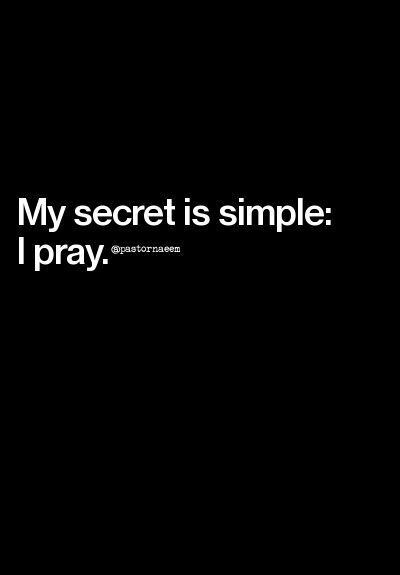 Myself, I try to do the above when I have important choices and issues that I want to seek guidance through prayer for. I do my best to calm my inner self, set my personal longings aside (though that is easier said than done), and sometimes even fast and meditate prior to help put myself into a “cleaner” state physically, mentally, and spiritually. Is it fool proof? No, but I find that it does help, and it is worth the time and investment to take those steps. It is when I am “open” that I am most likely to have prayers that are followed by dreams ( which I realize will sound bonkers to some who are reading, but those dreams have often provided much needed insights, and been out-right life saving at times, so I personally know to trust, and take heed when those kind of dreams come—even when they show things that are painful, or against what I personally want. I don’t know why I receive them, I just sometimes do, and have since I was a young child). So, essentially, awareness is the first step, and most important factor when it comes to being able to consider the possibility that our own longings can interfere with receiving personal revelation/ answers. The best any of us can do is try to be truly open when we seek, and willing to accept what it is that we hear…even if it is a small voice that can easily be drowned-out or brushed aside.